Beautiful. what is he using? Wire? It is very interesting to look how work chineese and look at them life through european eyes! The cages are beautiful. Of course, cane is only good for softbill birds. Parrots would take one bite and be gone. 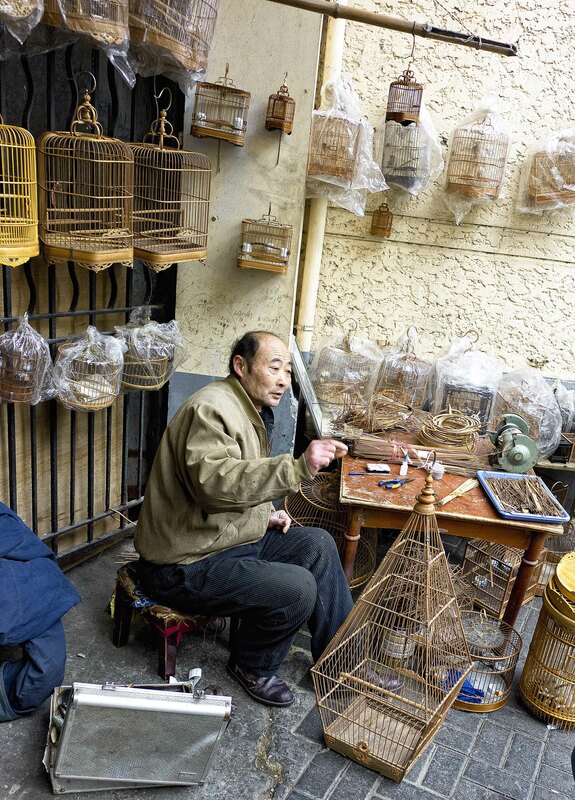 I wonder if the Chinese actually house birds bigger than finches in such small cages? That would be terrible. But, I do love the cages. I’ve been fascinated with your images of the bird market. I would very much enjoy going there. This is a wonderful capture of the whole scene – I like the way you caught the man in the middle of gesturing. Thanks again my friend 🙂 I do love street photography, interacting with people on the streets and trying to capture something a little different from the norm.